The team of auto technicians at T&K Soundwerks in Crest Hill installs everything we sell, from window tints to custom stereo systems. We work closely with you to choose the most suitable products for your needs, type of vehicle, and budget. We provide a time and cost estimate for when the installation will be complete. We strive to execute every project with quick turnaround times and when you work with us, you can rest assured it will be done right the first time. 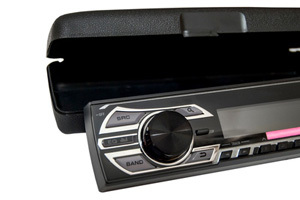 Car audio installation include removal and disposal of the old speakers if applicable, and with all of our installation services, we clean up completely so your car is ready to go upon pickup.